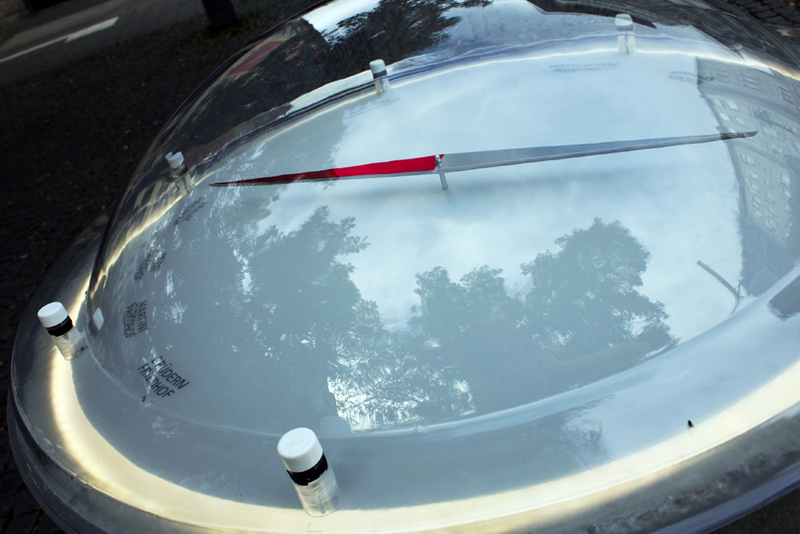 The installation “silence compass” responds to the acoustics of other places from a distance. The compass indicates the direction of the most silence in realtime, refering to the "silent elsewhere" in the urban level of noise, the place where to go to experience silence. The place of the greatest silence is identified by sound level meters. Over a mobile network connection the silence compass is getting the signal, where to move to indicate silence.